One of my favorite soap recipes of all time is my Buttermilk Bastile Baby Bar that you can find on a guest blog post over on SoapQueen.com. I love the way this soap feels on my skin. 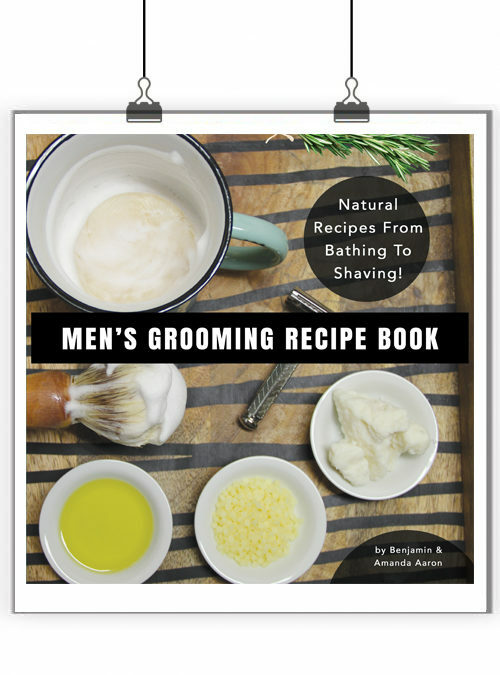 I received an email recently about wanting to make the soap with coconut milk instead. You can substitute the buttermilk with any milk of your choice, goat milk, almond milk, coconut milk…etc. I happened to have some powdered buttermilk on hand so decided to make a batch with that. I also decided to add some zinc oxide. Zinc oxide is great for irritated and itchy skin. So first of all, why do I call it bastile? 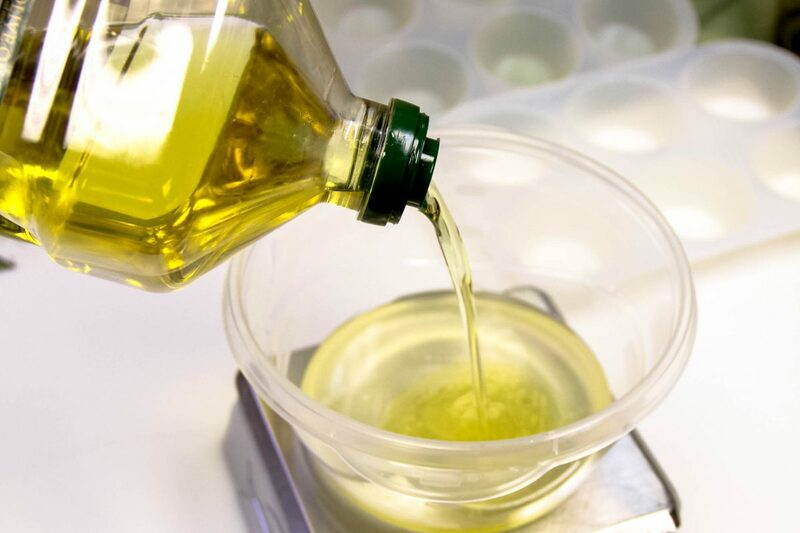 Castile is soap that is traditionally made using 100% olive oil. Bastile is a term coined by soapmakers before me for soap that is almost 100% olive oil, but not quite. 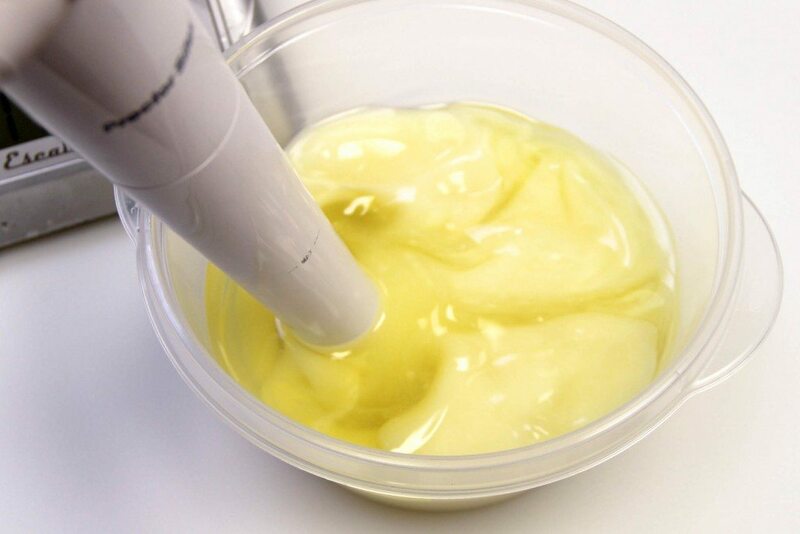 It typically has 10-30% other oils and butters. 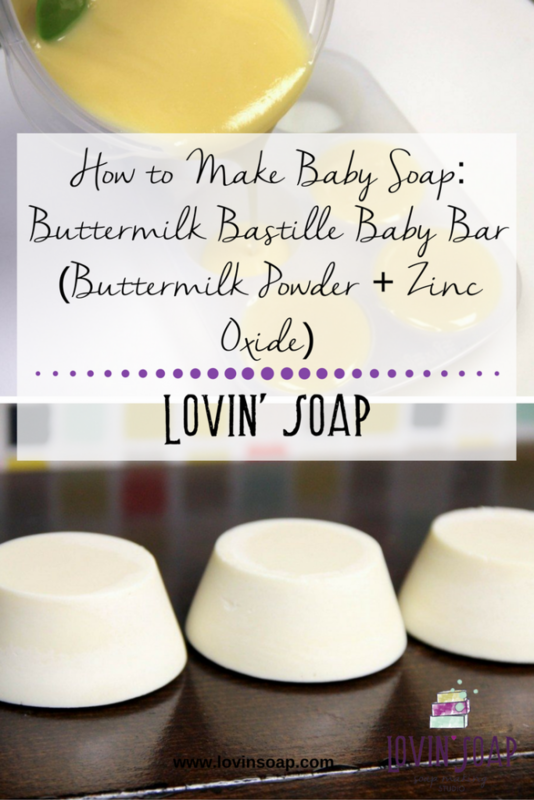 The high amount of olive oil makes it a super nourishing and mild soap, perfect for baby! A word of warning if you make this soap, and especially if you give it as gifts: This is not a tear-free soap. The soap will burn eyes if it gets into them during the bath. Keep the soap away from baby’s eyes. 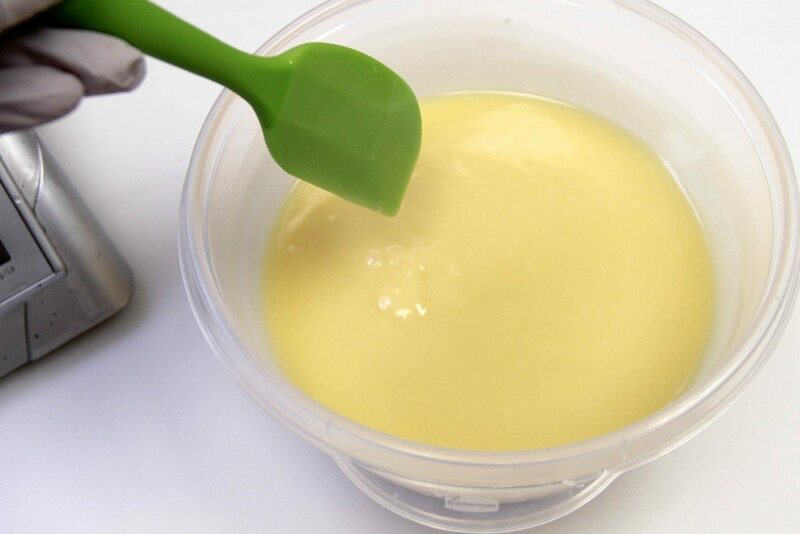 Step 2 – Weigh the coconut oil into a microwave container. Melt, just until melted. Step 3 – Add the olive oil to the melted coconut. This helps to cool the temperature down. 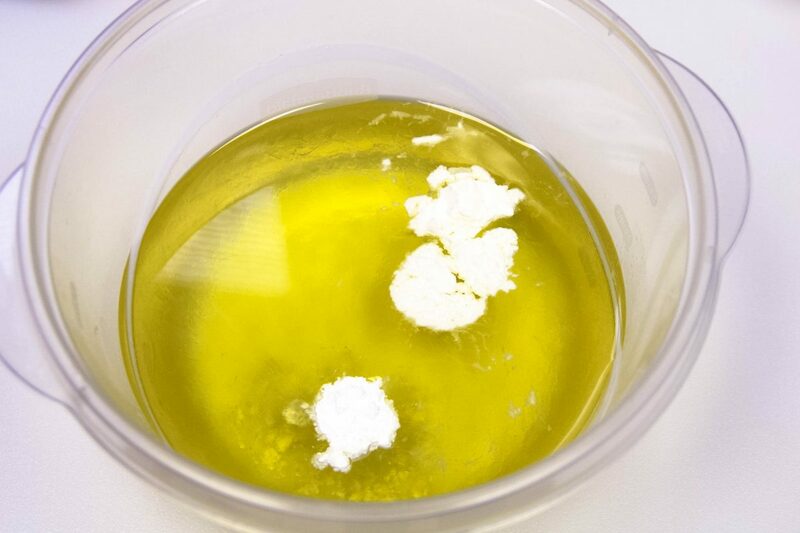 Step 4 – Add the buttermilk powder and the zinc oxide to the oils. Stir to get rid of any clumps. 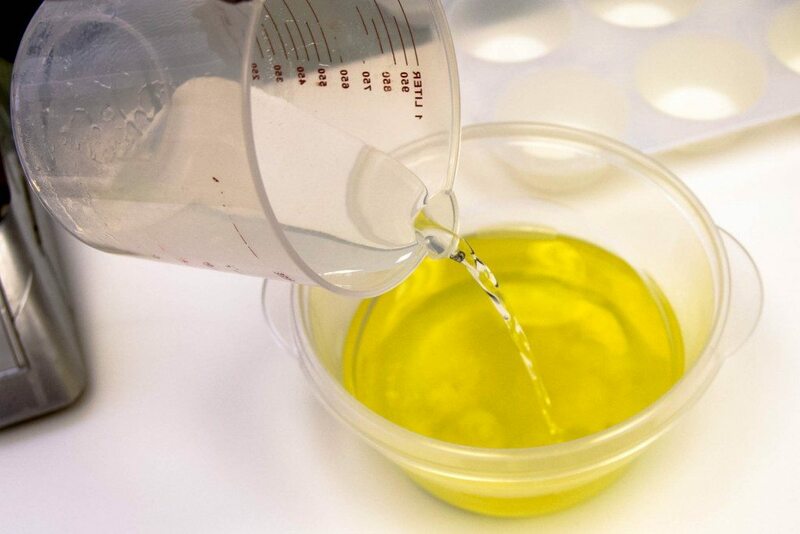 Step 5 – Once the oils and lye are cooled to under 100 degrees F, pour the lye into the oils and mix to trace. 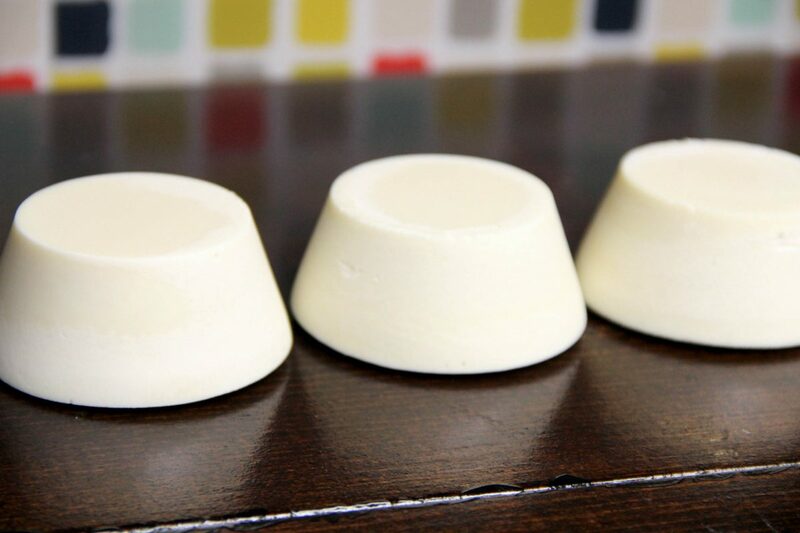 Step 6 – Pour into your mold. Step 7 – Allow to sit overnight to saponify. After 24 hours unmold your soap and cure for a minimum of 6 weeks. Hi Amanda! Thanks for sharing your lovely recipes! I love formulating my own recipes, but I also enjoy using other soaper’s favourite recipes, and this looks like a good one! 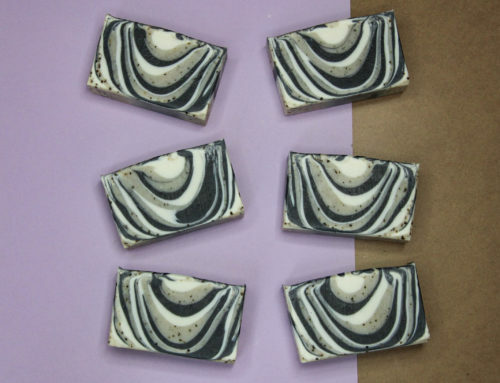 I’d like to ask your opinion on a zinc product and what your thoughts are about adding it to this soap recipe. We’re all probably familiar with zinc ointment, commonly known as “diaper rash cream”. It comes packaged under several different company names, but the ones I’ve seen are basically the same. 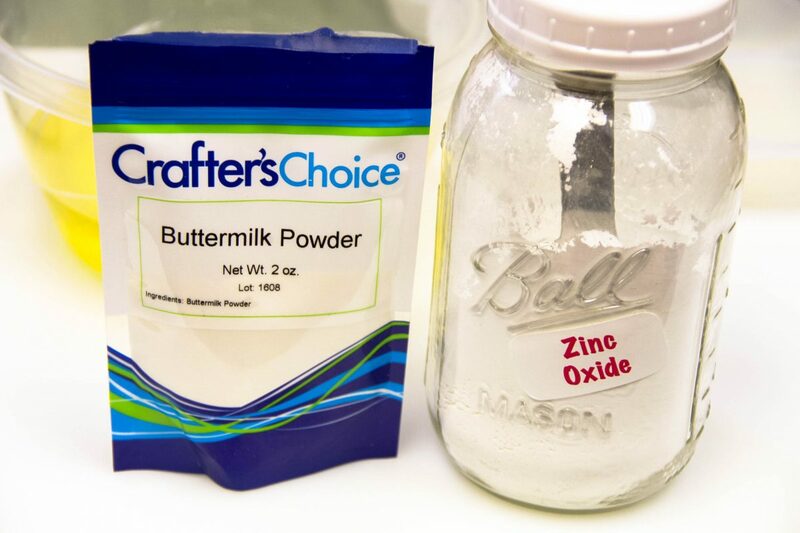 If the zinc cream was added to the soap, rather than the powder, would you anticipate a successful batch of soap? The zinc cream has an oil added, but I don’t know which ones because i don’t have a jar with me at the moment. 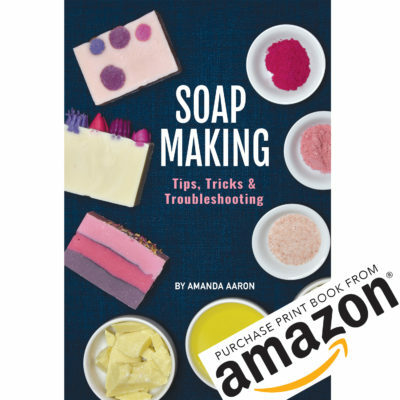 My concerns are about messing up the delicate SAP balance of the soap, because the added fat would be hard to account for in the lye calculator. I admit that I did try it in another recipe,(crazy experiment, more like!) but noticed white flecks in the finished soap. But other than that, it was a nice, white, hard bar of soap. Maybe the zinc cream acted as superfatting. Do you have any suggestions, or would you recommend sticking with the powdered form of zinc? Thanks in advance for any help you can give me. 🙂 Your soap looks so nice, I would hate to ruin it by experimenting with the ingredients. 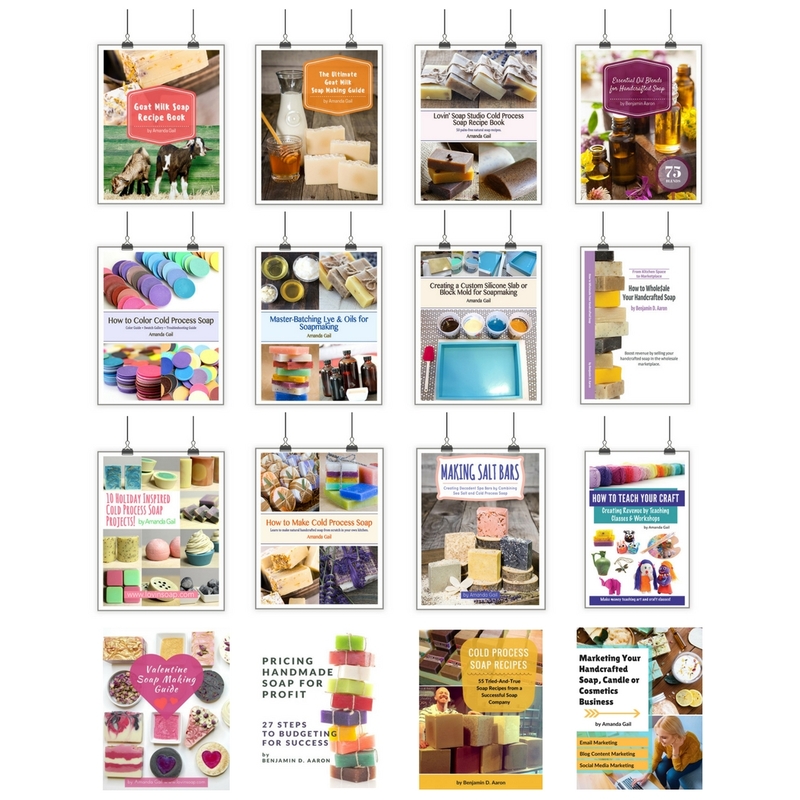 Hello, Amanda, l am new at soapmaking, I love your web page… thank you so much for share with us…. About this recipe, can I use powder goat milk instead of buttermilk? and for a big batch, can I doble this recipe? Thank you. Regards from Mexico. how much range of PH for Buttermilk Bastile baby bar. I would probably make it either HP or CPOP .. both force the gell stage & making the soap quicker to use..
Not sure, probably Bramble Berry or Wholesale Supplies Plus. Lots of suppliers have it. I’m new to soaping. I made this soap the first time and let it go to gel phase and it turned a light brown. The second time I made it the temperatures for the lye and oil were lower between 75 and 85 degrees when i combined. I refrigerated it overnight. 12 hours later it was still very soft in the mold so I put it back in the fridge and it’s still soft, but I was able to take it out and slice it. I tried the zap test and it zaps….does it just need to sit longer? Thanks in advance for your help! 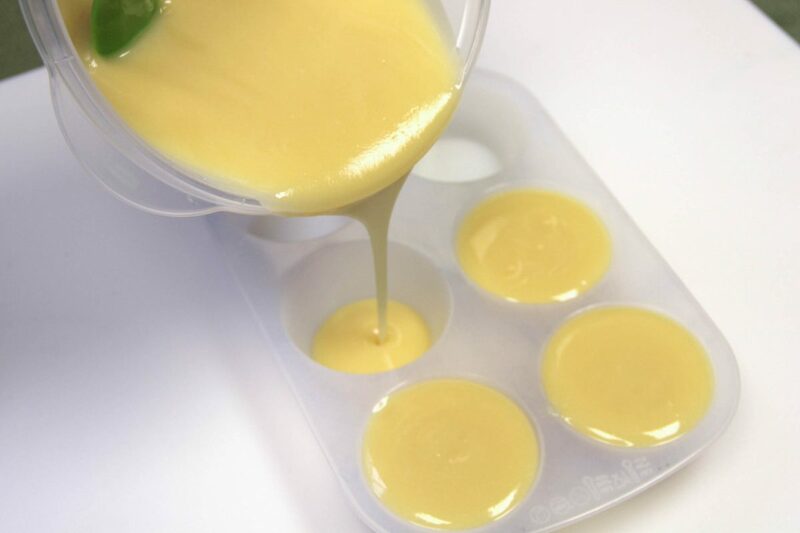 soap will take longer to get hard because of the high olive oil content, also seems to take longer in silicone molds-Always assuming your measurements were accurate and your followed directions carefully : D! Thanks for responding. I’ll wait it out then! hi. Amanda. 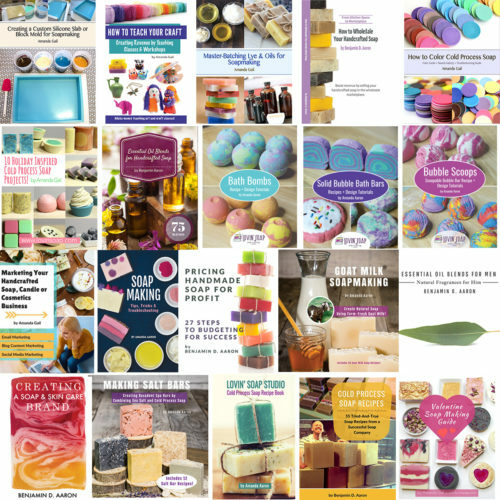 .I new in soap making . would like to try our baby soap making.. can i use breast milk instead of water for the lye solution. and how much ? Can I use kaolin clay in place of the zinc oxide? Is kaolin clay still a safe option for babies? 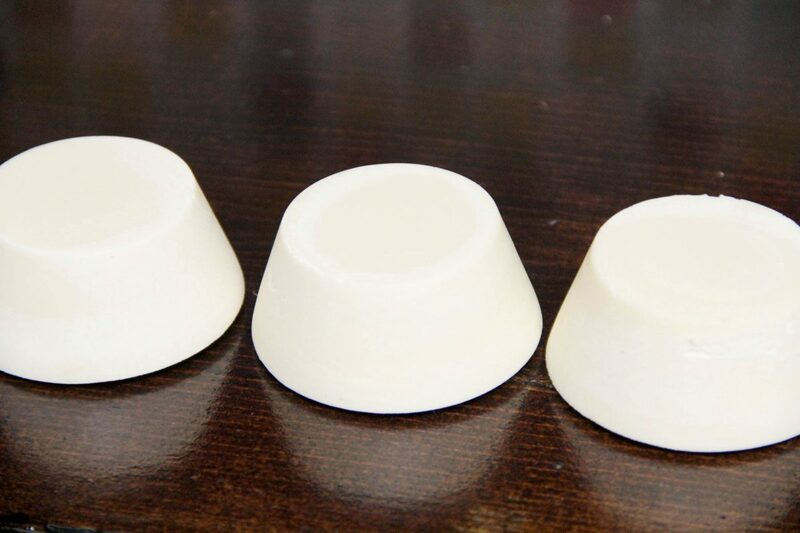 Did you add the zinc oxide simply to whiten the soap? 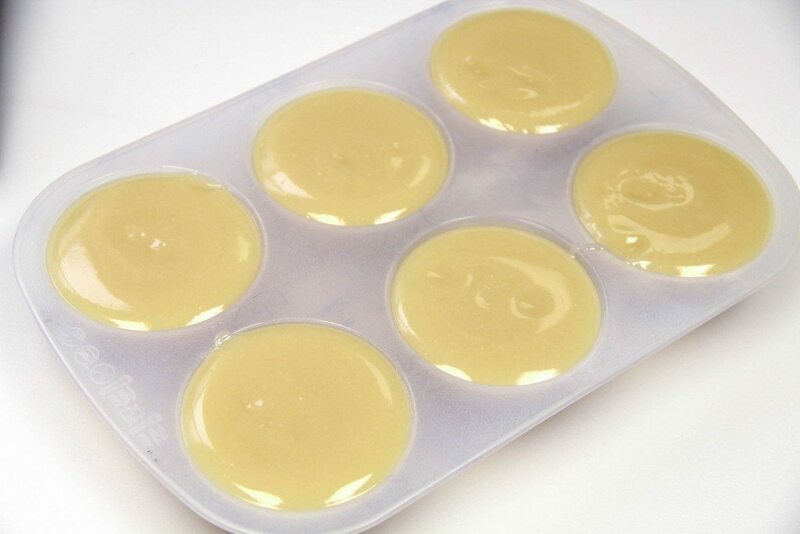 This is a great recipe for making skin-safe soap for babies. Can we also use sustainable palm oil as a percentage of the carrier oils? We are hoping that if we did we can get a harder bar of soap in a shorter curing period. We are definitely going to try this though. Thanks! I made it , just added 5% of castor and it looks so good, white, the unscented. It seems that the soap with that high Olive oil amount needs a bit longer cure. I am going to try to keep it for at least 10 weeks. What do you think Amanda? I made a couple of batches of this with fresh buttermilk, modified a bit by adding in some castor oil(because I like castor oil in everything soapy), didn’t use zinc oxide b/c I didn’t have any on hand and added a bit of scent. 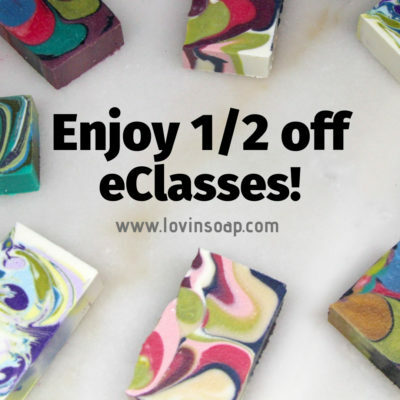 I love this soap and how it lathers-so creamy! At what stage did you use fresh buttermilk? 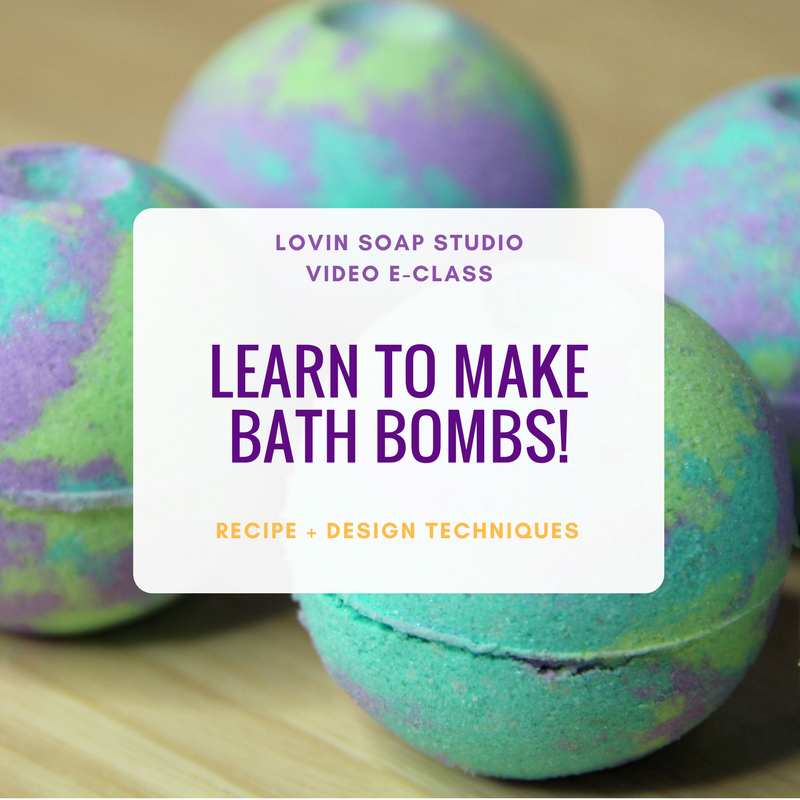 I’m new to soapmaking so forgive me if this is a stupid question. Everything I have read says the lye and oils should be much warmer than in the instructions above (where you say 100F). Why so cool? what was the superfat/water reduction at? 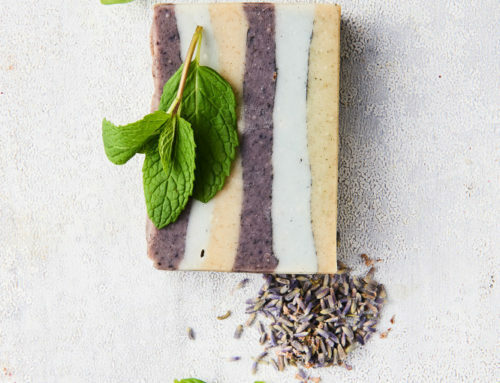 A few weeks ago I made this soap, but using yoghurt powder instead of buttermilk. It still have to wait till it reached its 6 weeks of curing, but from what I can see so far it looks like a great soap! I have referred in this blog post to your original recipe. I hope you do not mind! I am sure this soap is great for baby’s skin, but how is it for the eyes. I have many requests for “tear free” version. Lets face it cold process soaps can burn the eyes. 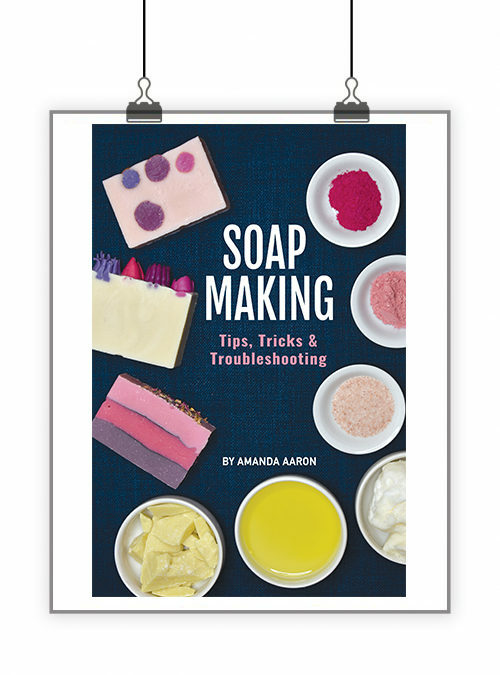 What can be done to elevate that problem without messing up the soap recipe? Hi Ronna – I have a warning paragraph in the tutorial that it will sting eyes. You’ll have to educate mamas that it will sting and to not get it in baby’s eyes. Makers of tear free shampoos add chemical numbing agents. 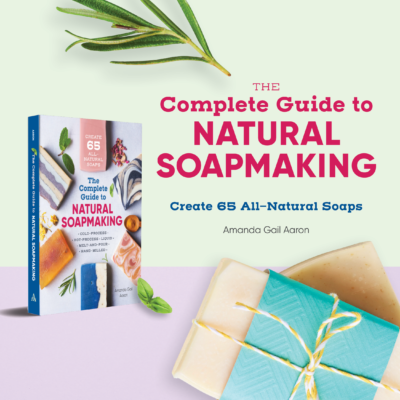 As handcrafted soapmakers who are wanting to make a more natural product, that’s just not something that I want to do. So educating the end user is very important. Agreed. I’ve since read that. This comment was over a year ago. Thanks for sharing! If I want to use fresh buttermilk instead of powder ,how would I do that? Thanks for this post. Amy, you can check the “Best by” date on the container. It was from bramble berry. It came in a bag. No date labeled for use by. Oh no! No batch code or anything? Since it is dry, I would bet it lasts awhile. it smells just fine, but BB says to only keep it a year. It’s been kept in a cool dry area. It smells fine, so I’m using it. In the future it would be nice if everything was labeled. How long does buttermilk powder last for, and would it smell funny if it was rancid? I found this recipe over at Bramble Berry… made it with goat milk powder… loved it! The mild silky lather is not just for babies! As long as it’s left unscented, it’s great for dry, sensitive skin, mature skin, and for cancer patients under-going radiation treatment. Thank you SO much for sharing this, Amanda!